We get to see bad showers all the time. 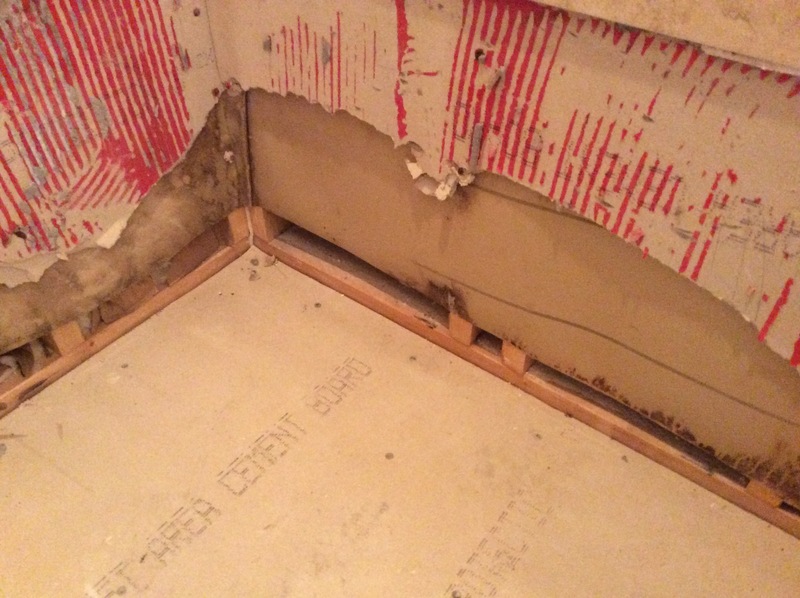 The classic ‘mud bed’ method of waterproofing has so many opportunities for error that it’s extremely common to see at least one critical error on any tearout we do. Sometimes there’s two, or even three. Every once in a while we run across one where it doesn’t appear much of anything was done right, like this one. No Pre-slope installed before the pan liner was put in, guaranteeing any moisture that seeps into the mud bed would stay in the mud bed. 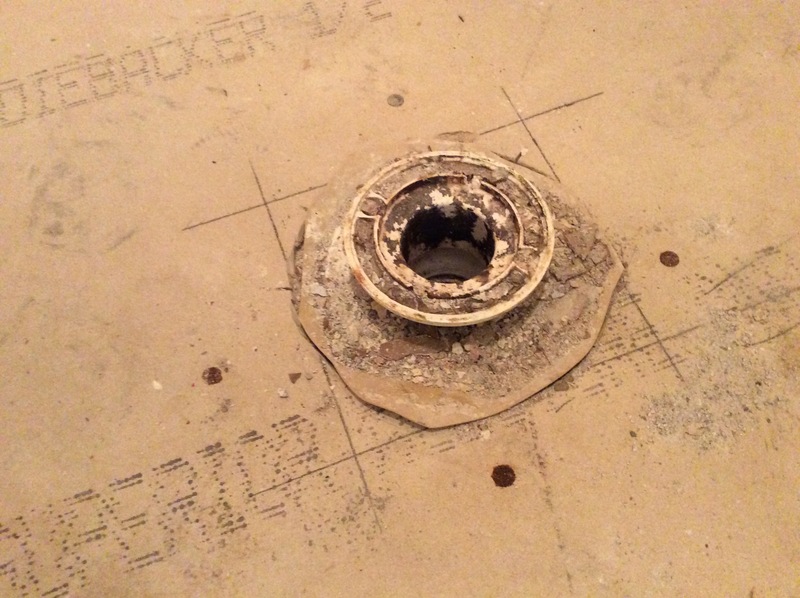 Even if the pan was pre-sloped properly, the drain weep holes were filled with concrete. This guarantees any moisture that seeps into the mud bed has nowhere to go, thereby providing the perfect environment for mold and mildew to develop. The pan liner attached to the walls with screws, thereby puncturing the waterproof barrier. The screws and nails attaching the hardibacker to thewalls rusted through from the moisture running down the walls. 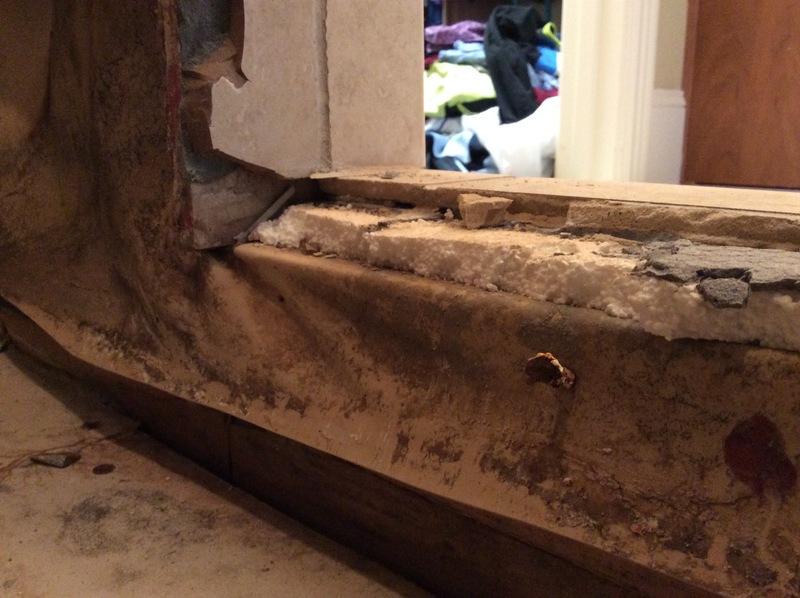 The rusting of the nails and screws are an indicator only a single coat of Red Guard (waterproofing coating) was used rather than the manufacturer’s recommended two to three coats. Finally, as if all the rest wasn’t enough, the pan liner was installed in two pieces at the curb, not sealed at the corners and installed over a Styrofoam insulating board which was screwed in through the pan liner. 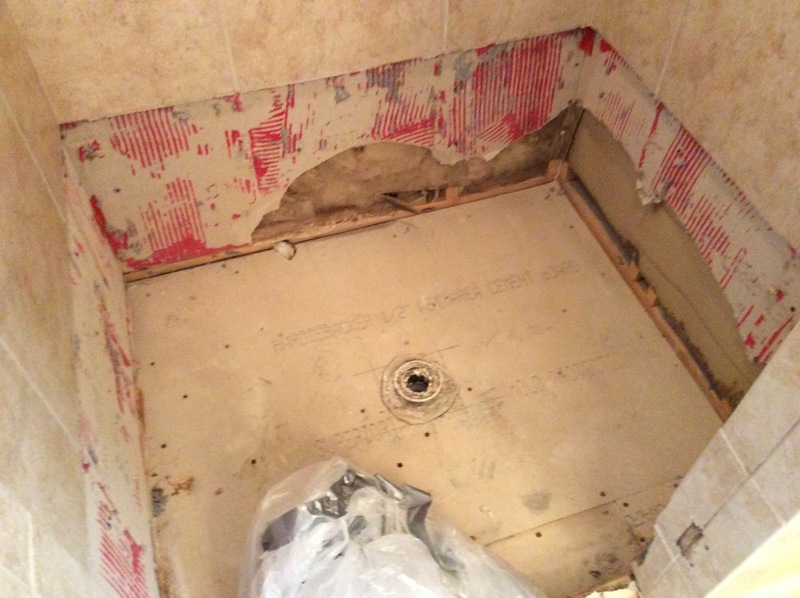 I can only surmise they ran out of backer board, and used Styrofoam insulating board to level the area before tile was attached to it. The only thing I’ve seen that would have made it worse is not to use a pan liner at all. Call in the pros…The Shower Pros!